e.l.f. has a range of lip gloss that promise to plump your pout – with a tinted gloss on one end and shimmering plumper on the other. It’s not just the shimmer that adds a bit of extra dimension to the lips, but it also has that tingle effect that adds some plumpness. 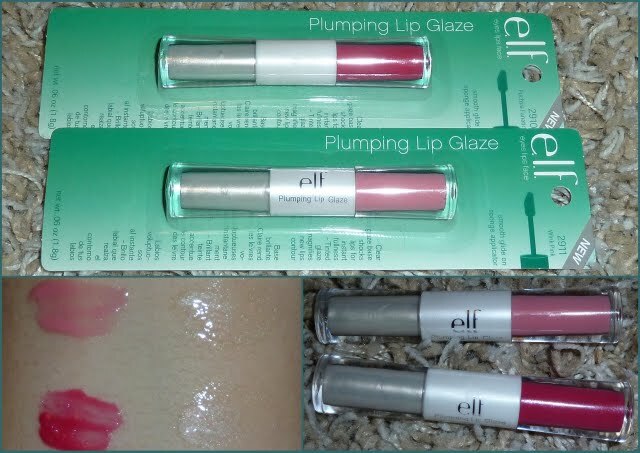 I’m very impressed with the pigmentation of the tinted ed of these glazes – although when swatched on the hand they do appear brighter than when on the lips with the pearly glaze over the top. Fuchsia Fanatic for example looked more like how I expected Wink Pink to look when applied, and Wink Pink looked almost invisible. 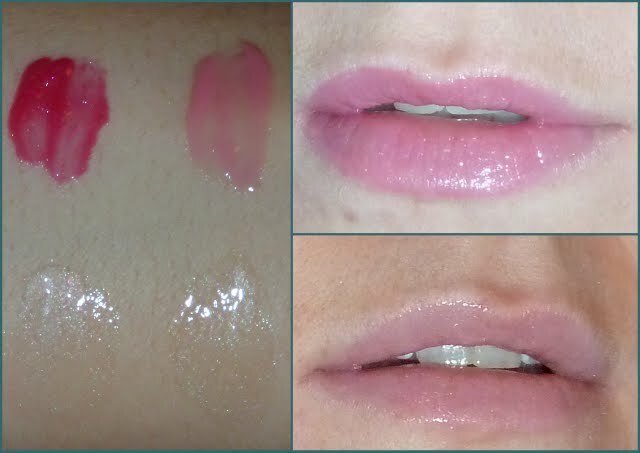 Swatches L-R: Fuchsia Fanatic – Wink Pink. The glazes apply smooth and feel very comfortable to wear. When the pearly layer is applied it makes the lips do that tingly thing. I applied the pearly layer over the top for these swatches but on second thoughts I think I should have applied the pearly gloss first and the colour over the top – because the colour would look stronger and it would mean I wouldn’t spoil the pearly coat mixing it with the colour. But I also like the fact that there is the option to play the colour up or down by using the pearly top coat however you like. e.l.f. plumping lip glaze is £1.50 and available in 11 shades.